Eclipse M90 SOE - 1-7/8" jaw, 8" long, cast iron. 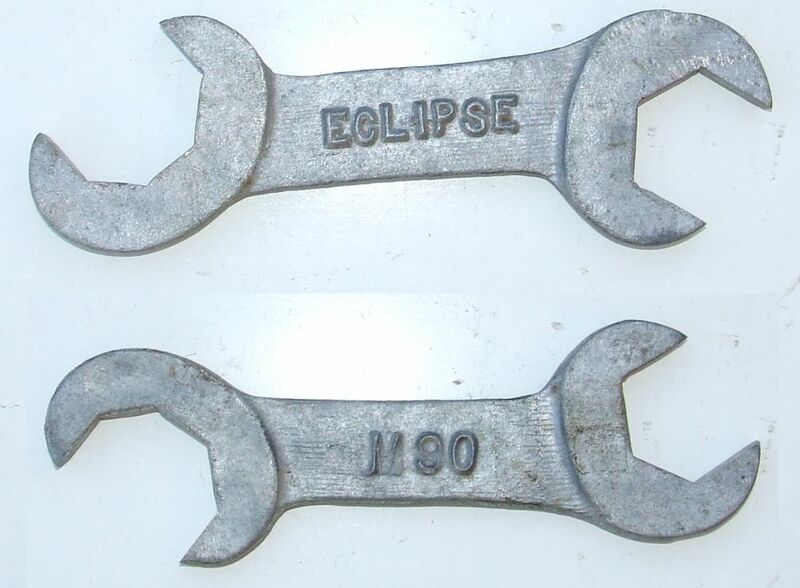 Eclipse M90 DOE - Jaws - 2-1/8 x 1-3/4", 10" long, cast aluminium. 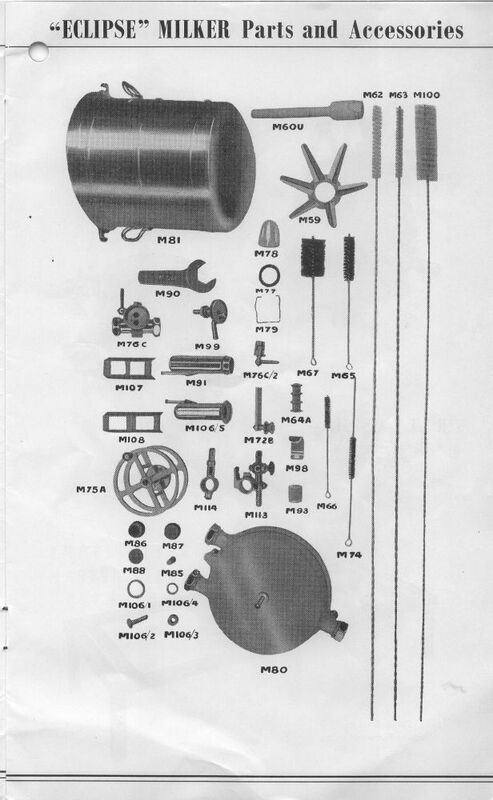 Gippsland & Northern CO-OP Co Ltd.
1. 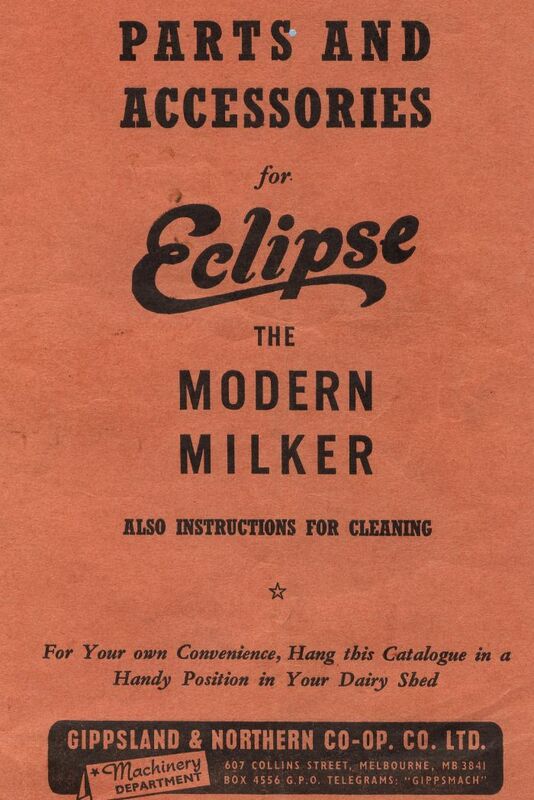 Eclipse Modern Milker Parts Book . 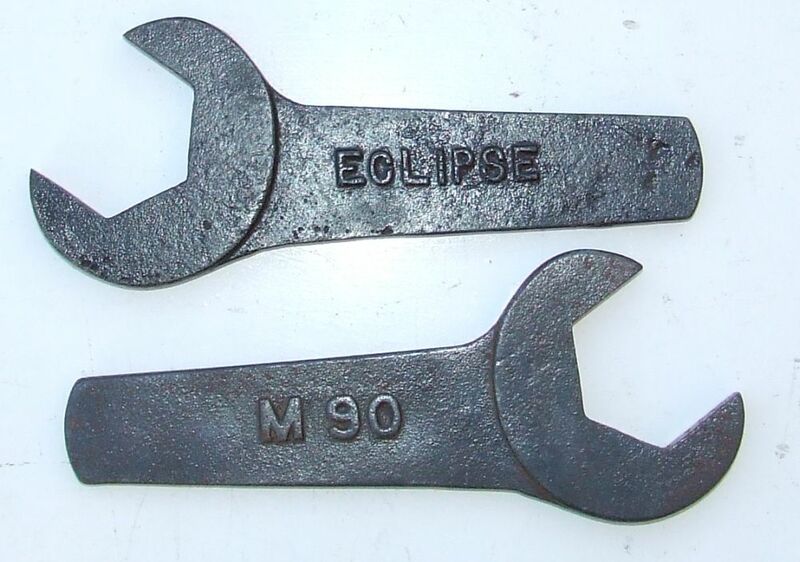 Single ended spanners marked Eclipse M90 are not rare, however, the double ended Aluminium alloy ones are hard to find.